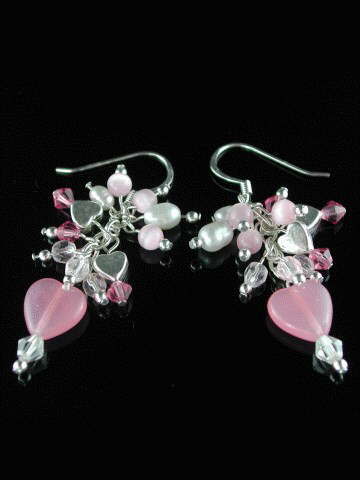 Exquisite Pink Cat's Eye heart earrings, hand wired with Rose Quartz, Swarovski crystals, sterling silver hearts, small pink Cat's Eye beads and genuine AAA grade freshwater white pearls. Made in-house exclusively for Patinkas. All findings used on these earrings are also sterling silver.